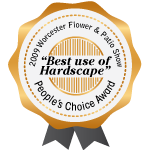 Ideal Landscape Maintenance and Construction located in Holden and Shrewsbury Massachusetts, has been providing year-round residential landscaping services in central Massachusetts since 1996. 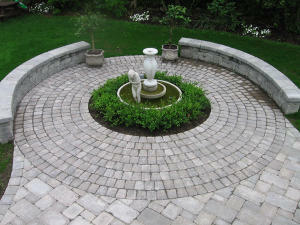 Our services include complete landscape design and build from concept to completion for, walkways, patios, paver driveways, retaining walls, garden walls, outdoor living space, planting installation and most general landscape services. 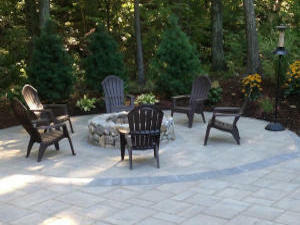 Award winning design and quality workmanship will turn your backyard dreams into a reality. Let our team… Make your Backyard the Place to Be! 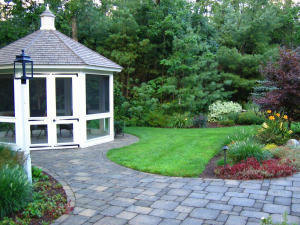 Ideal Landscaping also offers 3D Landscape Design to help you properly plan and visualize your project. We bring quality workmanship, responsiveness and honesty to every job regardless of size. When you meet with us, we will listen to all of your ideas and create simple plans that can be turned into something truly amazing! © 2018 Ideal Landscaping Maintenance & Construction. All Rights Reserved.